Trump and Alex Jones in contact, White House seems to acknowledge. 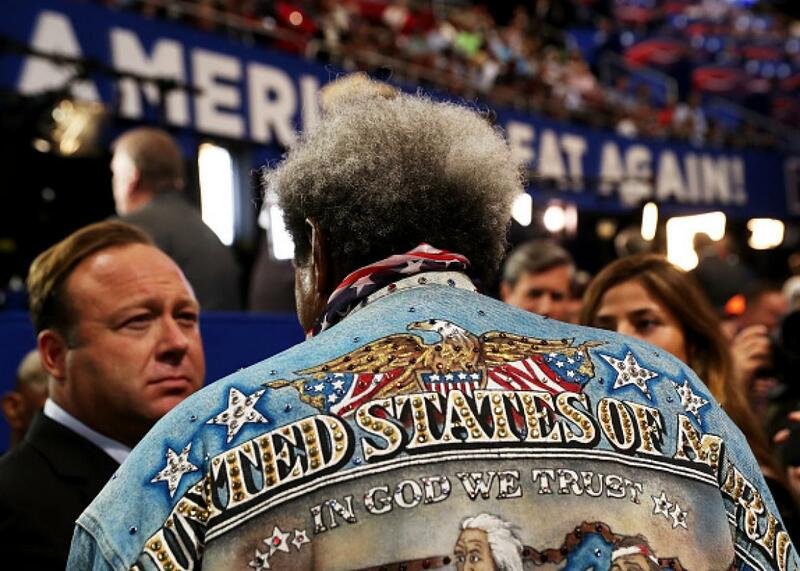 Alex Jones, left, with fellow Trump supporter Don King on July 20 at the Republican National Convention in Cleveland. [Jones] is apparently taking on a new role as occasional information source and validator for the president of the United States, with whom, Mr. Jones says, he sometimes speaks on the phone. Mr. Jones told me that he had spoken with Mr. Trump since that call [in November], though an aide to the president, communicating on the condition of anonymity, played down the frequency of their contact. Playing down the frequency of their contact isn’t exactly denying that they’re in contact, is it? Update, 11:35 a.m.: I forgot to mention that Jones told the Times that Sandy Hook “may have happened,” in the newspaper’s words. This is a contradiction of the host’s emphatic previous statements on the issue.